Have you noticed a drop in the level of satisfaction in your relationship? Are you on quest to find more happiness with the person you love? Couples who stay together over the years and find lasting happiness together are couples who have discovered the beauty of kindness and generosity. John Gottman, renowned couple’s researcher, has discovered after studying thousands of couples that there are two types. Those couples who had learned how to turn toward each other in times of difficulty with kindness and generosity were the ‘masters’. Those couples who showed contempt or criticism toward each other in times of trial became the ‘disasters’. Kindness is a super fruit of the Holy Spirit and is an adhesive that is known to hold a couple together for a lifetime (Galatians 5:22). When you show kindness and generosity your every action will have the flavor of grace in it. Kindness and generosity are two guiding forces that will help your partner feel validated and understood. During the month of February take the time to scan your partner for doing something right and acknowledge you see it. Gottman also introduced the five-to-one-principle (5:1). For every one negative interaction you have with your partner, you need to practice five positives to balance the relationship. Therefore, kindness will outweigh negativity and the result is a happier relationship. 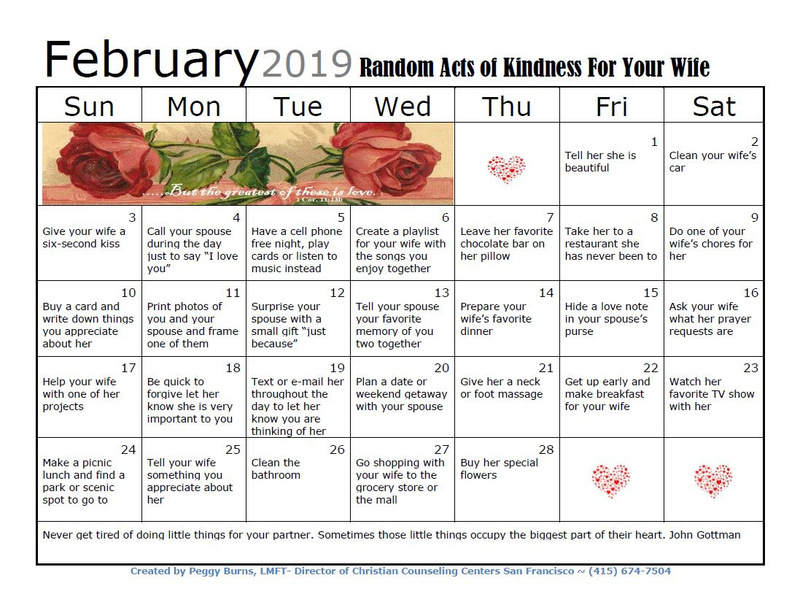 I have created for you a “Random Acts of Kindness” Calendar for couples for the month of February. There is one for husbands and one for wives. 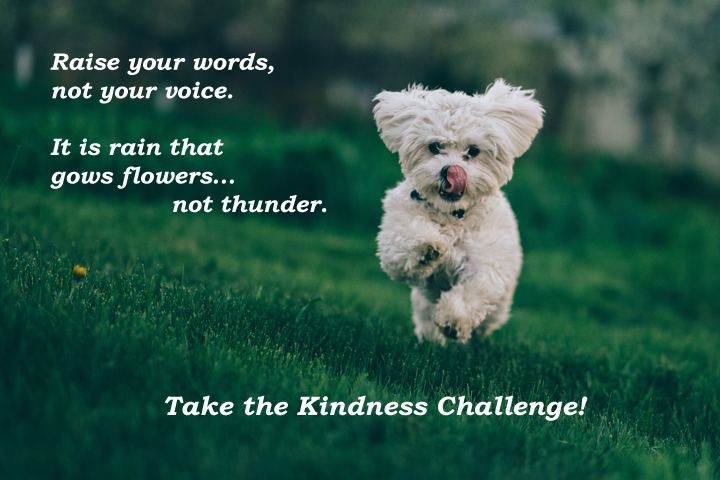 I hope you will take our “Kindness Challenge”, print these calendars out, and use them to begin spreading kindness and generosity in your relationship this month. Disclaimer: This article is intended as an educational resource only, and is not intended to be a replacement for treatment. For evaluation and treatment, please contact a qualified mental health professional.